Anyway the reason for me telling you this is because we will introduce a travel section to the blog. 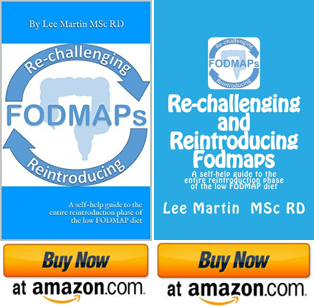 It will be completely FODMAP related as I am sure we will pick up loads of inspiration for creating some amazing low FODMAP recipes from around the world. Plus we will tell you how we managed to travel and follow a low FODMAP diet. We ended up planning the whole thing ourselves after getting poor service and increased costs from STA and have learnt so much that will help the budget traveller that we wanted to share this information. As we travel we will add low FODMAP travel tips we pick up in the different countries. We hope you enjoy this edition to the blog and please do get in touch with any travel tips you have for the countries we are visiting or tips in general for a budget around the world trip. So for now take a look at some photos from our first stop Boracay island in the Philippines, and we will be back in touch soon……. I just signed up to the blog guys, can’t wait to hear about your low FODMAP journey around the world!! I just returned from a trip and was surprised at how easy it was to eat low FODMAP in Spain and Portugal, a little more challenging in Morocco! Enjoy! Thanks so much for joining the blog and your message. We can’t wait to get going! Yes we went to Marrakesh; couldn’t quite believe how many prunes and almonds they put in the lamb tagine! Very encouraging that it is easy to eat Low Fodmap in Portugal…I am potentially going to book a trip for my sisters birthday and have been so worried about going abroad again following my last attempt almost a year ago when I got incredibly sick. Literally just found your blog through googling for a recipe. Definitely going to keep following this! Especially interested in different world recipes as this Low Fodmap marlarky can be so frustrating and limiting! She spent almost 3 years living and working in New Zealand as an Occupational Therapist and has done a lot of travelling in Asia en route home. Hope that helps! Hey Shaz, thanks so much for that your sisters blog looks super useful. Thanks for tagging along to our journey we will post loads of low FODMAP meal inspiration as we travel. Excited to read more about your travels which will hopefully build up the courage to travel again. The thought of going abroad again scares me after getting so ill the last time. Just started following you guys and just in time by the looks of it! I am massive lover of traveling and of course follow a low fodmap diet which tends to make things difficult! I can’t wait to see how you guys get along! I have also been using an app called ‘FodMapFriendly’ which might be useful for you guys! It lists a lot of products which are available worldwide and have the fodmap friendly logo on them! It could be helpful for you when looking for foods overseas 🙂 check it out, it’s been super helpful for me! Can’t wait for your next post!!! Hello you two, I live in Perth Western Australia, when are you visiting us? I clicked on Australia but didn’t get anywhere. Pingback: I’m now researching FODMAPs at Kings College London!